How do plants with no roots survive? How do they obtain the water and mineral nutrients that are essential requirements for plant growth? Learn about the fascinating adaptations that plants without true roots or chlorophyll have developed in order to meet the basic necessities of life, even in harsh environmental conditions. 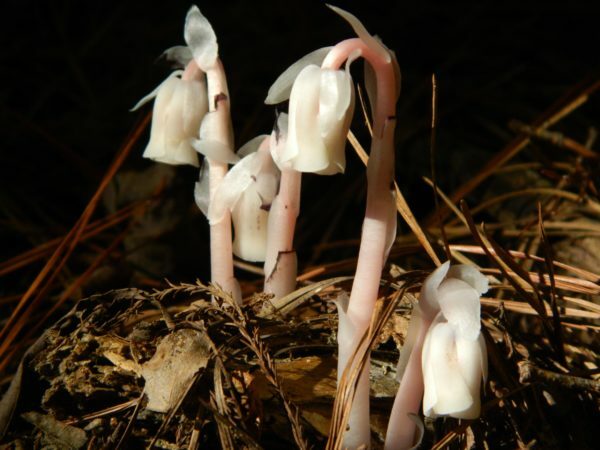 A garden tour in search of parasitic plants, lichens, and other unique species is included, as is a discussion of the important roles they play in our local ecosystems. Rain date for this class is Thursday, June 27, 2019. This class qualifies for the following professional credits: 2 APLD, 1 CNP credit with DNLA and 2 NOFA AOLCP. Two professional development hours (PDH) have been approved for this class through LA CES. This class meets LA CES standards for HSW subject matter.